"December 9, 1968. Doug Engelbart demonstrates the oNLine System (NLS) to about one thousand attendees at the Fall Joint Computer Conference held by the American Federation of Information Processing. 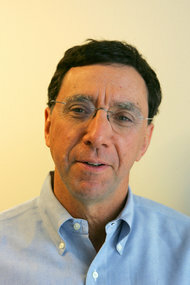 The demonstration introduced the first computer mouse, hypertext linking, multiple windows with flexible view control, real-time on-screen text editing, and shared-screen teleconferencing. 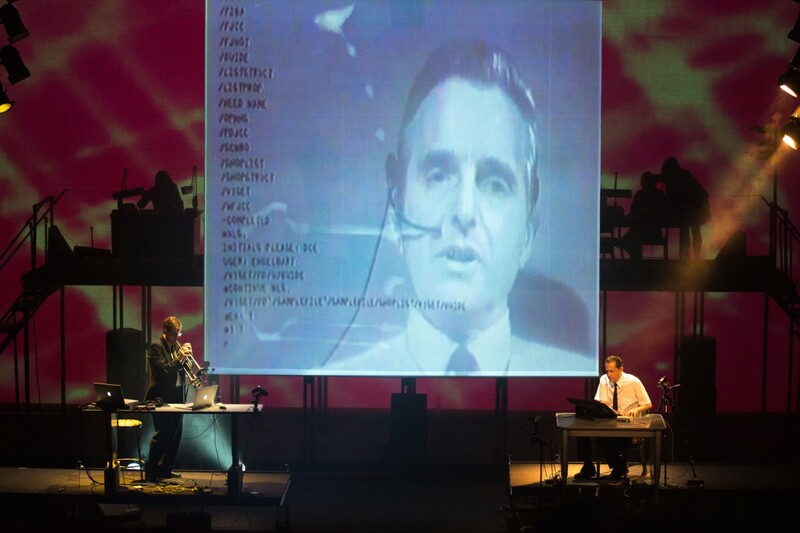 Engelbart and his colleague Bill English, the engineer who designed the first mouse, conducted a real-time demonstration in San Francisco with co-workers connected from his Augmentation Research Center (ARC) at SRI's headquarters..." Read more. "I recently visited the museum and there saw many legendary things, among them: the Xerox Alto; a MITS Altair 8800; Douglas Engelbart's (father of hypertext) invention: the first, wooden mouse; the original Macintosh computer; a general history of Silicon Valley at the genesis of personal computing; a hobbyists' billboard pulled from the Valley's long past; and a lovely display highlighting the work of distinguished iconographer Susan Kare..." Read more. 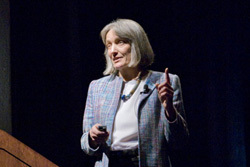 See also the Smithsonian's coverage of this exhibit and photos from Christina Engelbart's visit. 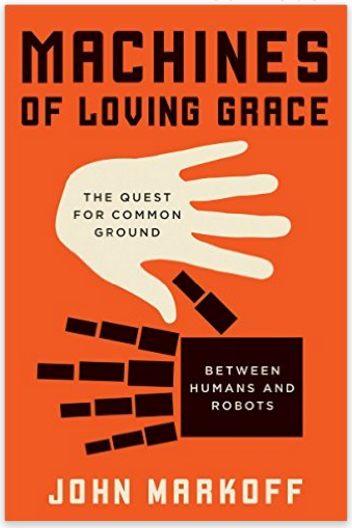 New book by Markoff juxtaposing artificial intelligence, which seeks to automate human thinking, and intelligence augmentation, which seeks to enhance human thinking. Doug Engelbart, who coined the phrase "Augmenting the Human Intellect" in 1962 and pioneered the field, is mentioned throughout. Doug Engelbart's greatest breakthrough may be to change how we think, how we learn and innovate, and how we collaborate. The Internet Hall of Fame featured profile on this 2014 Inductee, including how one university is putting his vision to practice in an experimental MOOC and associated Engelbart Scholar Award program. Twenty-four Oregon students advance to the nationals in Washington DC for their outstanding presentations on Leadership & Legacy in last Saturday's Oregon History Day, including Junior Level contestant Zaidie Long of ACCESS Academy in Portland, who presented her documentary: "Douglas Engelbart: Man Behind the Technological Revolution". "Payoff will come when we make better use of computers to bring communities of people together and to augment the very human skills that people bring to bear on difficult problems." -- Douglas Engelbart, 2002, from his paper Improving Our Ability to Improve: A Call for Investment in a New Future. For background see IBM Invite You to Think. Walter Isaacson discusses his latest book, "The Innovators: How a Group of Hackers, Geniuses and Geeks Created the Digital Revolution." 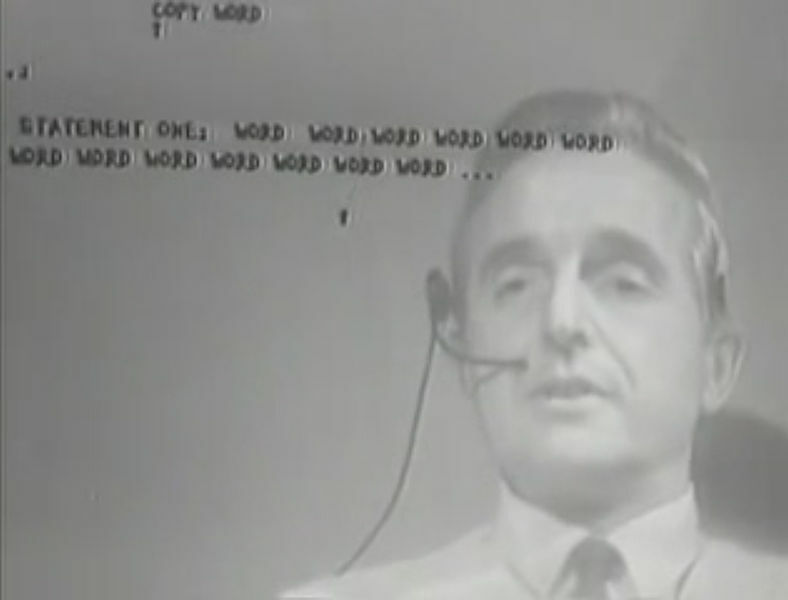 features Doug Engelbart and others; Watch complete KQED broadcast. At one point in his speech, President Obama cites Doug Engelbart's seminal innovations, among others, in the context of American leadership in the global digital economy today. Learn more. "If you're reading this, chances are you have used a mouse, laptop or a traditional desktop computer with an LCD display. 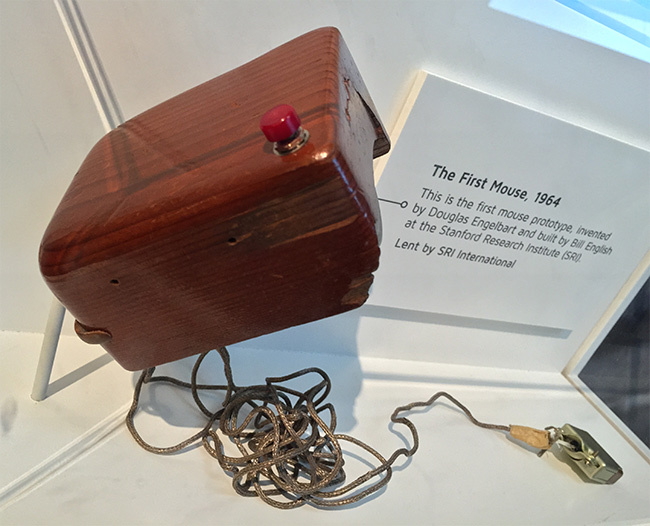 It's easy to see how much technology has changed over the past decade, but it's more startling to see just how far we've come since the mouse made its debut in 1963." Here's a link to source on Experts Exchange in their article Transformed: Visualizing how personal computers have evolved over the last 50 years. A Radio Show about Design with Roman Mar - this episode explores the Keyset invented by Doug Engelbart. "If you are looking at a computer screen, your right hand is probably resting on a mouse.. moving back and forth from keyboard to mouse. .... There is another way..." See also our blog followup post Meet the 'keyset', and more background and archive photos. Vice Provost Gardner Campbell at Virginia Commonwealth University is teaming with other professors and other universities, and joined forces with Christina Engelbart at the Doug Engelbart Institute to design a collaborative MOOC plus the all new Engelbart Scholar Award; See also more background and photos. EVENT: Technology Legend: Honoring Douglas Engelbart, Computer History Museum, December 2013, sponsored by SRI International and Logitech, Inc. 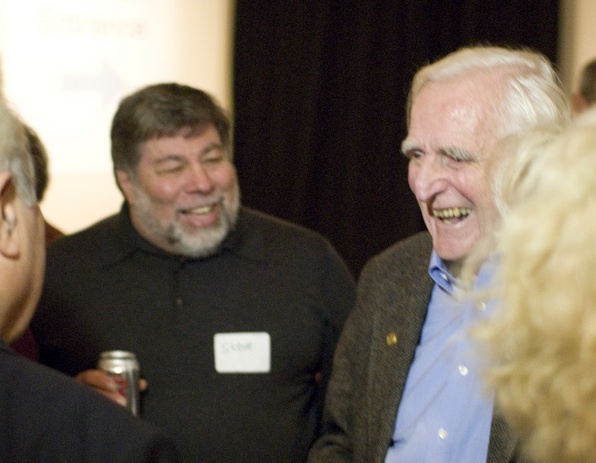 I have been a fan and follower of Doug Engelbart since I first discovered his work in the early 1970s. After his death in 2013, I revisited a videotaped interview I did with Doug in November of 1991 [in which Doug described] much of his seminal thinking about how to design high performance organizations. [...] In this article, I summarize a few of the high points from that interview. • See also the official Award Citation, as well as Honors Awarded to Doug Engelbart for this and other awards he has received.